Loving Mom, Grammie and Great-Grammie. 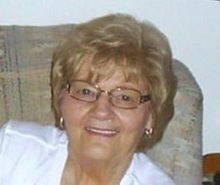 Gloria A. Behrendt, age 82, longtime resident of Sheffield Lake and Village, OH passed away Saturday, February 16, 2019. She was born July 5, 1936 to parents Theodore and Charlotte Blazejewski. Gloria was the secretary at Sheffield Lake Schools for 31 years and served on the School Board for ten additional years upon her retirement. She was the past president of SSLCEA (School Employees Association) for 25 years. She was the girls' volleyball coach at SMS for 6 years, a past officer in Tennyson PTO, coach for Girls' Softball in City League as well as for Diamond Lils'. Gloria enjoyed vacationing in Las Vegas and going on cruises. She loved her family and especially spending time with her grandchildren. Left to cherish her memory are her children, Brad (Joyce) and Brian (Chrissy) Behrendt; grandchildren Ashley, Amanda, Allyssa, Lindsay and Hunter; great-grandchildren Jamey, Jacob, Joshua and Liam; and sister-in-law Sandra Sabol. Preceding her in death are her parents, husband of 50 years Melvin Behrendt, brother Ted Blaze, son Bruce and grandson Anthony. Memorial contributions may be forwarded to St. Teresa of Avila, 1878 N Abbe Rd, Sheffield, OH 44054. Friends may call at BUSCH FUNERAL HOME 32000 Detroit Rd., Avon, OH on Thursday, February 21, 2019 from 3-5 pm and 7-9 pm. Funeral service to take place the following morning at 11 am at the funeral home. Burial to follow at Ridge Hill Memorial Park.